The Board of IL&FS Investment Managers have approved the appointment of Nand Kishore and Kaushik Modak as Additional Directors, in the capacity of Nominee Directors of IL&FS on the Board of the company. Shares of IL&FS Investment Managers Limited (IIML), a subsidiary of crisis-hit Infrastructure Leasing & Financial Services Limited (IL&FS), fell nearly 5 per cent on the Bombay Stock Exchange after the company said that its board has approved appointment of Nand Kishore and Kaushik Modak as additional directors in the company. "The Board of IL&FS Investment Managers by resolutions passed by Circulation on 6th December, 2018, have approved the appointment of Nand Kishore and Kaushik Modak as Additional Directors, in the capacity of Nominee Directors of Infrastructure Leasing & Financial Service on the Board of Directors of the Company," the company said in a filing to the Bombay Stock Exchange. Following the announcement, shares of IIML tumbled as much as 4.95 per cent to Rs 6.52 apiece on the BSE, despite making a positive start at Rs 7.14 against a previous closing price of Rs 6.86 on the BSE. On the National Stock Exchange, stocks of company were trading at Rs 6.60, down 4.35 per cent. Investors will keep an eye on the board meeting on December 14, when the company would release its financial results for the quarter and half year ended September 30, 2018. On Monday, the Uday Kotak -led newly appointed board of Infrastructure Leasing and Financial Services (IL&FS) unveiled plan to cut two-thirds of the job across the group as part of its initiatives towards rationalized manpower with a view to reduce costs associated there with. The board proposed to bring down total manpower of the IL& FS Group by approximately 65 per cent and wage cost by 50 per cent respectively, in two phases. In a progress report to the National Company Law Tribunal (Mumbai), the board said that it has assessed and undertaken various steps to reduce the wage bill of the IL&FS Group which are expected to result in savings across various entities within the group. 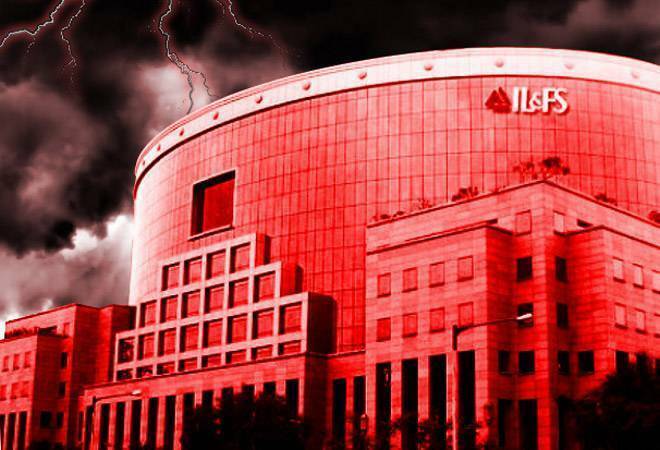 The government had formed a board of IL&FS after NCLT approved a resolution of the liquidity crisis at the company in wake of its bulky debt of Rs 91,000 crore.